While we love providing proficient towing and recovery services, we understand the timely need for small roadside assistance. 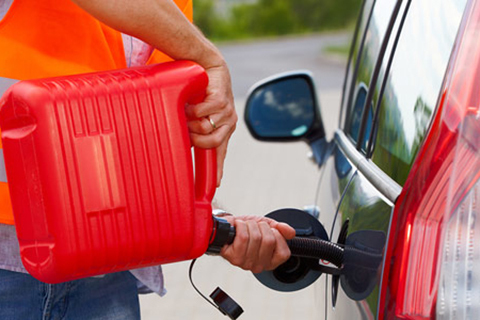 For your convenience, we provide prompt and affordable fuel to get you back on the road again. Life is busy, here at DND we understand that sometimes it can be easy to overlook getting gas. As unfortunate as it is to run out of fuel, know that DND provides prompt and courteous service to get you back to your busy life! 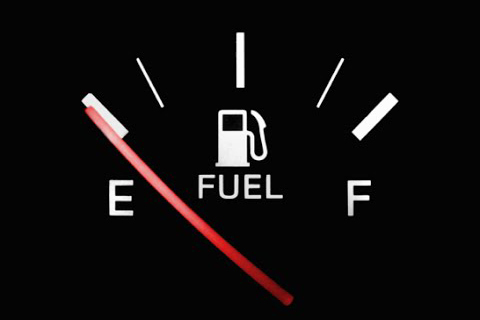 Our trained and experienced professionals will bring you gas if you find yourself stranded, whether it be a shortage of fuel, or the gas gauge not working. How do I pay for the gas brought to me? Once your vehicle has gas and you are ready to be on your way, we will invoice you. You can then pay by check, debit, credit, or cash. What if your vehicle runs on diesel ? If your vehicle runs on diesel, not a problem! Be sure to tell us what kind of fuel your vehicle takes when you call and we will bring it to you. How much gas is brought to me? Usually, our tow driver will bring you 2-3 gallons of your requested fuel, allowing you to get to a nearby gas station to fill up.